Non-Selective herbicide for controlling a wide range of annual and perennial weeds and grasses on non-cropland areas. Effective Total Kill. Best results when Burnout III is applied before or during active growth period and when rainfall can be expected for soil activation. 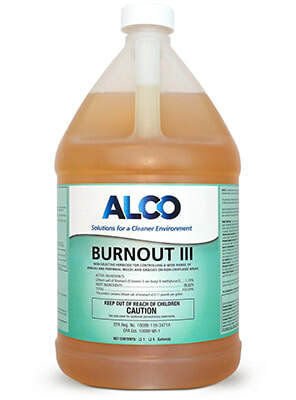 Burnout III is also used to control undesirable woodsy plants on non-cropland areas. VOC compliant. EPA Registered. See label for complete instructions.